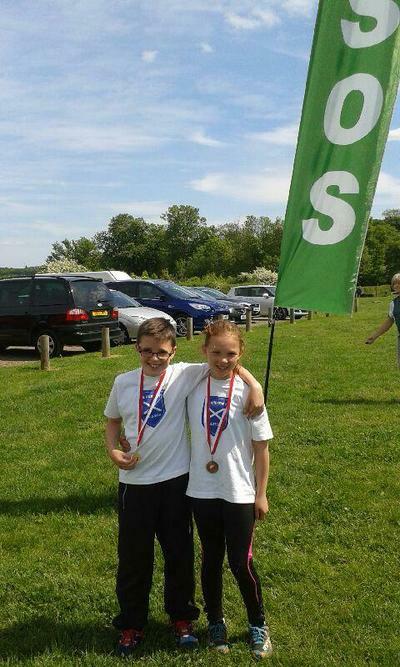 In an amazing time of 8 minutes 38 seconds Jamie (Year 4) won the silver medal at the East Anglian orienteering championships at Hylands Park. 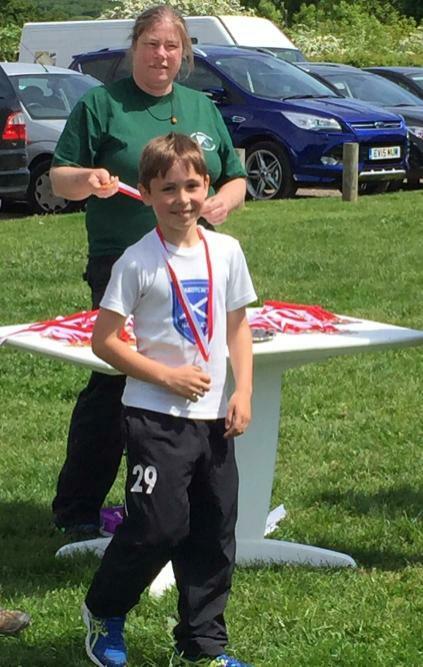 Only 9 seconds behind him unlucky Tom (Year 5) looked certain of a medal, but was narrowly beaten into 4th place. The boys won the primary team category with Oliver (Year 6) contributing a fast time to their winning score. The girls were also on fire with Lucy (Year 6) taking silver, closely followed by Amy (Year 5) with the bronze medal. It was team silver medals for the girls. Only 1 point separated Lucy, Amy and Evie from the winners of the primary team category. Our very young team performed incredibly well against predominately Year 6 opposition. A special well done to Ryan (Year 3) who came 10th in a time of 10 minutes 3 seconds. Ben (Year 2), Harvey (Year 3) and Izzy (Year 5) all made short work of their first solo runs. Many congratulations to the whole team who were a real credit to St. Andrew’s. The final league event of the season is at Highwoods Country Park, Colchester on Sunday, 14th June.